Official synopsis: "It's summer. Rebecca is an unwilling visitor to Winterfold - taken from the buzz of London and her friends and what she thinks is the start of a promising romance. Ferelith already lives in Winterfold - it's a place that doesn't like to let you go, and she knows it inside out - the beach, the crumbling cliff paths, the village streets, the woods, the deserted churches and ruined graveyards, year by year being swallowed by the sea. Against her better judgement, Rebecca and Ferelith become friends, and during that long, hot, claustrophobic summer they discover more about each other and about Winterfold than either of them really want to, uncovering frightening secrets that would be best left long forgotten. Interwoven with Rebecca and Ferelith's stories is that of the seventeenth century Rector and Dr Barrieux, master of Winterfold Hall, whose bizarre and bloody experiments into the after-life might make angels weep, and the devil crow." There is no doubt about it, this is perhaps the most scary book, the creepiest book, I have read aimed at younger readers ever. You will need, not want, to read this with the lights on, in broad daylight, if possible! Set in the middle of summer, the heat stifling, Rebecca and her father move to Winterfold for the holidays to get away from their past, back in London. Here, Rebecca meets the mysterious, even odd, Ferelith. There are three main characters. Rebecca's story is told in third person, a sense of foreboding, that knot in the stomach sensation, hanging over them all the time. Ferelith tells the story from her own point of view, while our third character is the Winterfold Priest in 1798. He is obsessed with the afterlife, and his section of the story is told in the form a journal. Often, he talks about the repulsive goings on in hell, asking God why it is he only see's hell in his dreams, and not heaven. 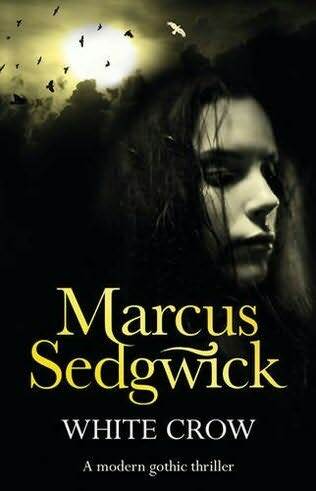 A highly gripping novel from Mr. Sedgwick. Right from the beginning you are drawn into this world of fear, as the question is poised: what really lies in wait for us after we die? Deeply thought provoking, and as mentioned earlier, devilishly scary. The writing is of the highest calibre. I would recommend this book to everyone, although maybe not those easily scared, or under the age of 12. I agree this book is a real spine-tingler. I was totally freaked out about it. The Priest was such a gruesome guy. I really loved the gothic emphasis. Great review! Excellent review! This is on my shelf for next week - really looking forward to it. Marcus Sedgwick is a genius! Ooh. I really want to read this now!